Note: this book is published in the US as The Keeper of Lost Causes and is referred to at the author’s website as The Woman in the Cage. Given that everyone in the world has already read this book (refer links below) there doesn’t seem much point in writing this review but my life appears to be full of pointless pursuits these days so one more can’t hurt. Perhaps if I add my voice to the chorus of positive reviews there might be a hastening of the translation of other volumes by this clearly talented author? Mercy tells us two stories. The first is the story of Merete Lynggaard, a successful politician who disappears very suddenly one day in 2002. While the rest of the world thinks her dead, drowned when falling or jumping from the ferry she was travelling on, we learn that she is alive and imprisoned in horrendous circumstances. Merete’s part of the book takes us back through her life as well as depicting her current circumstances in such an affecting way that I was close to hyperventilating more than once (I am extremely claustrophobic and the descriptions are all too realistic). The second story is that of Carl Mørck who is a Detective with the Danish police. As the book opens he is returning to work after a traumatic incident in which he was shot, one of his colleagues was murdered and another was crippled for life. Carl’s entire focus as he comes back to work is to ensure that he can do as little as possible while still getting paid and his employers are keen to sideline him too. With the help of a new source of funding they establish a new Department for Carl to head up which will investigate unsolved cases. Putting Carl out on his own is seen as advisable as no one likes working with him and the bosses have plans to use much of the allocated money for their own ongoing investigations. Carl sets himself up in his basement office, where he spends days surfing the net and arranging case files in piles (but putting off actually looking at them) and prepares to do not much at all. But one of his demands in the bargaining that he conducted with his superiors was for an assistant who could do cleaning and make coffee and the man assigned to him, Assad, forces Carl to actually open some of the cold case files. And he becomes intrigued in spite of himself. When they decide to focus on the Lynggaard case Carl and Assad (who takes on a wide array of duties, most of which would not normally be performed by a cleaner) cleverly uncover the mistakes made by the initial investigation and doggedly work their way towards finding an answer to the mysterious disappearance. People (and book blurbs) are always keen to paint Scandinavian crime fiction as universally bleak and miserable but this book is hardly that. 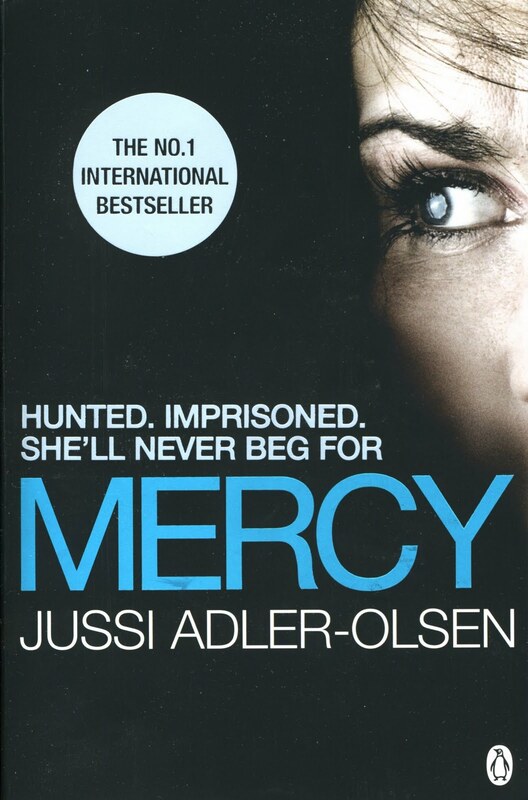 While individual circumstances are indeed on a scale from merely bad to utterly horrific there is a strong sense of humour throughout Mercy and this is where Lisa Hartford’s superb translation skills are most evident. There were many genuine laughs in the book for me, especially from the dialogue between Carl and Assad or Carl and his superiors and I am always extra impressed when linguistic humour can be translated and remain funny. Another element that keeps this book from being too grim is the depiction of Merete. Perhaps because I know that if I were in her situation I would have curled into the foetal position and died I loved the way she was shown to be keeping her sanity and wits. She is locked alone in a room with no distractions, no comforts and no human contact for a very (very) long period and yet she never lets it get to her, or at least not for too long. Thankfully Adler-Olsen resisted the temptation to infuse her imprisonment with any kind of sexual or violent torture which also scores extra points with me as that particular trope has worn very thin. From a plotting perspective it’s not that difficult to work out who must be responsible for Merete’s kidnapping but there is a lot else going on to keep the reader engaged and guessing right up until the end. The unveiling of the characters’ back stories and the ongoing battles that Carl has with his superiors and colleagues, not to mention his beleaguered family life, provide plenty of tension and intrigue. This really is a multi-threaded story but kept well controlled so that you don’t, as a reader, feel confused at all. In short this is a tremendously good read with excellent characters, lots of interesting storylines and offering a credible depiction of a modern bureaucracy with all its flaws. If there does happen to be anyone left who hasn’t read it then my only advice is to do so. Now. I eagerly await the next translated volume. 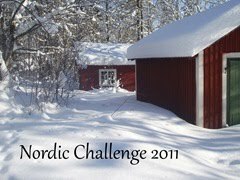 This entry was posted in book review, Denmark, Jussi Adler-Olsen, Nordic Challenge 2011. Bookmark the permalink. Yes, yes and yes to your review and to Margot’s points as well. A good read and interesting. I found the parts with Merete Lynggard to be fascinating. How anyone could keep their sanity and actually plot strategies on how to cope and survive is almost beyond me, but Jussi Adler-Olsen knew how to write this well. And Carl is quite a character. He’s not a run-of-the-mill detective. He is fun to read about. His sense of humor is quite intact. I also laughed quite frequently in this book. The humor definitely kept it from being too morose, especially when reading about Merete’s plight. And I agree with kudos to the author for keeping sexual violence OUT of this book. It meant I didn’t have to skip any parts and could read all of it and enjoy it. I hope his next book is published in English soon. I wonder what Adler-Olsen has written about, and I shall wonder until I have his book in my eager hands. Oh, and I almost forgot — the addition of Assad definitely adds to the book. He’s an interesting guy and the interplay between him and Carl is enjoyable. I haven’t read this one yet so thanks for the reminder. Oh, and just saw the FF about the CWA awards. I am thrilled that Crooked Letter, Crooked Letter won an awards. It’s been nominated over here in States for several awards, but hasn’t won, which has astounded me. It’s a mystery, but it’s a story about the U.S. South, with much character development. It tells of a friendship and offers another slice of the human condition. It’s very moving. I, a friend, her father, another friend all liked this book enormously. Agree with Margot and Kathy. Also loved the ex-wife parts, and how being nice pays!!!! And I love your review, Bernadette, to me your reviews are never pointless. If they are of a book I’ve read it is fun for me to compare notes, and if not I use your reviews as a trustworthy guide. I think you are spot on in the points you raise. I did think the climactic ending at the farmhouse a bit weak but that’s a tiny negative in an overwhelmingly positive feeling I have for the book. I also like the way that there are various hints that could be developed in interesting ways in future books, rather than the series rapidly becoming repetitive. Well, one can but hope. Talking of Nordic crime fic not being all gloomy, you must read Headhunters by Jo Nesbo if you can get hold of a copy. Wow! Fast, furious fun, as well as intelligent. I just realized I was very amused by Carl’s home life with the stepson and eccentric tenant. That added more humor. P.S. So glad to see that Headhunters is good, a fast pace, fun and intelligent. When Nesbo is good, he is among the best.